Matzah Ball, our second girl, is simmering (laurathoughts81.blogspot.com). 1. Hello, Exhaustion. When I was pregnant with Lila three years ago, I slept nine hours nightly. For the first time since kindergarten, I was also eager to nap. And nap I did. If I was tired and didn’t have anywhere to be, I indulged. No such luck now. I’m learning what tired really means. 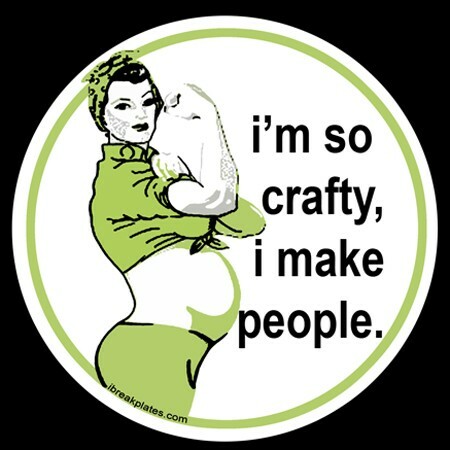 Even though this has been an easier pregnancy, I’m still tired and all-over achy. Handling that while chasing an über-energetic preschooler is tough, especially since she’s often awake before I am and is outgrowing her nap. If it weren’t for decaf, I’d be a complete zombie. 2. Less Anxiety. I generally know what to expect where pregnancy is concerned. Sure, I still have periodic questions for my OBGYN, but I don’t need to call all the time like I initially did with Lila. So, whereas an unexpected pain might have scared me last time, now I typically just shrug. 3. No Shopping. We’re having a second girl. The only thought I’ve given to shopping has been to mentally note that she can wear Lila’s hand-me-downs. 4. More Creativity. Lila quickly intuited that change was afoot. To include her in the pregnancy, we asked her to name the baby. Lila was Zyggatha (a play on zygote) in utero. We thought Lila’s dubbing her sister Matzah Ball was much more creative, and the nickname stuck. It certainly elicits a good laugh from anyone who knows Jewish cuisine. 5. Different Adjustments. My first pregnancy was devoted to Lila and preparing for Lila. I lavished time and attention on a collage album of our family, our baby registry, and planning Lila’s baby naming (optimistically scheduled for five weeks after Lila’s birth, when I naively imagined we’d be settled in). My second pregnancy has been dedicated to preparing Lila for Matzah Ball. Having no sense of time, she has asked whether Matzah Ball would arrive and change everything the next day; nine months mean nothing. So, we keep talking about babies and big sisters, in addition to reading many big sibling books, all to prepare Lila for the greatest role of her young life. 6. Changing Titles. I was used to being called many things related to my given name but had to mentally prepare for “Mommy” last time. Lila’s had to adjust this time. Lila has gone from being “my favorite girl,” to “my favorite big girl” or “my favorite big sister,” because “my favorite little sister” is currently simmering. 7. Experience’s Benefits. Pre-Lila, I read plenty about labor, delivery, and parenting. Three years later, I know how I like to handle various parenting scenarios. I don’t need strangers’ advice, nor do I need help divining my parenting style or imagining my child’s personality. Hands-on experience is invaluable. 8. Juggling Expectations. Last time, my husband and I were like dedicated tourists in Pregnancy Land. When I started showing, we took monthly baby bump pictures to share on Facebook. As a second time preggo, I must remind myself to pose for pictures, lest our second daughter eventually feel forgotten. I may not yet have two children, but I’m already focused on even-handedness. 9. Three Voices. Lila regularly kicked for us when she heard my voice or my husband’s. Matzah Ball kicks for us, but also when she hears Lila. I adore that and consider it an early sign of sisterly love. 10. Managing Two. As Lila’s due date approached, my husband and I took prenatal classes and toured the hospital. This time, our focus has been finding babysitters who will be available when I go into labor, so Lila can play with someone she knows and likes while Matzah Ball grandly enters the world. I want that pivotal day to be a positive experience for both sisters, whom I hope will someday be besties, much like my little sister and me. This article appeared in Kveller.